Genoa Brignole Station parking offers undercover parking spaces located only a few metres away from the station. With the convenience of this long established car park for Genoa Brignole Station parking, you can reach the station in just 5 mins by foot. Genoa Brignole Station parking will offer you a safe and reliable service since the car park is undercover and under 24 hour surveillance. By booking your Genoa Brignole Station parking space online, you will save both time and money. 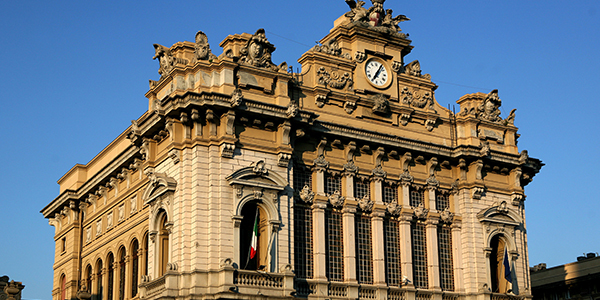 Genoa Brignole railway station is a major station of Genoa, located on Piazza Verdi in the town center. The Station is used by about 60,000 passengers a day and 22,000,000 passenger per year.